You guys didn’t think I was going to post a green smoothie for my first food post of 2015? Of course not! Smoothies will come, eventually. Just between you and me, I’m working on a glorified version of these amazing fruit-loving smoothie packs. But, like I said, smoothies are for another day. Before we proceed, just a little disclaimer: If you’re on any kind of detox, I recommend skipping today’s post. Trust me, it’s for your own cheese-loving good. 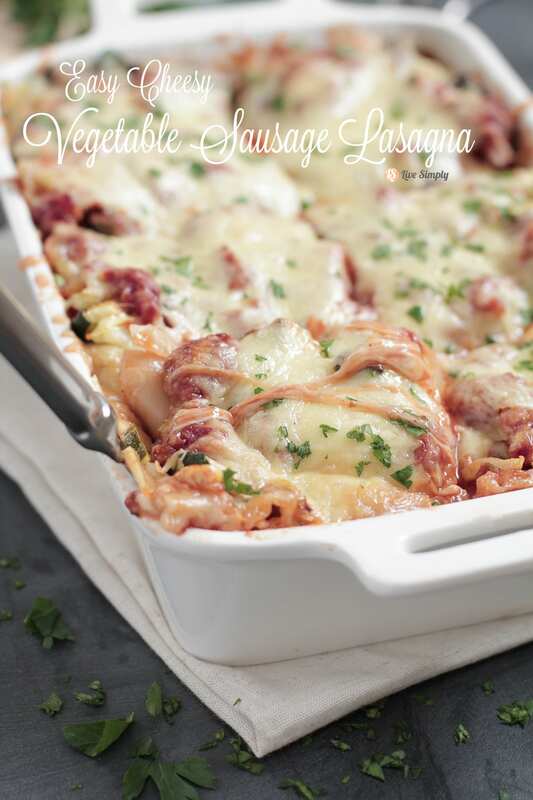 Let’s start the new year the way it’s meant to be celebrated, with an easy cheesy vegetable sausage lasagna! Dustin and my first year of marriage was full of trials. We spent our first twelve months of marriage trying to figure out the whole married life thing– finishing college, finding jobs (hello, bills! ), and discovering we had two very different food standards. Dustin’s idea of a family dinner involved enjoying canned soup from a shared soup pot with two spoons. Very romantic! 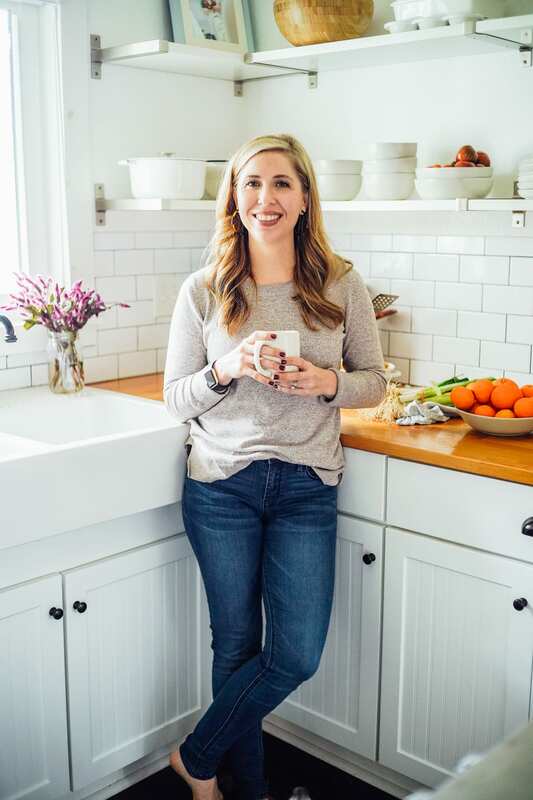 My idea of the perfect family dinner was entirely different–starched linens, china, and a five-course meal. Dustin’s preferred style of dining fit our college life much better than mine. Plus, I wasn’t the best cook. After many failed dinners, we finally sat down to brainstorm solutions to our dinner dilemma. I wanted more than a soup pot and two spoons each night. Dustin desired meals that were edible and did not consist of “well done” chicken breasts. Together, we wrote down a list of meals we enjoyed, including canned soup (before real food). Let’s speed this story up a bit. I know, it’s torture to read about my newlywed issues with lasagna while skimming photos of cheesy noodles and sauce. Long story short, after weeks of internal struggle, I learned to cook homemade lasagna. Three cheers for Kristin! I’ll admit the multiple-process dish didn’t come easy. We choked down ate a lot of soupy, burnt, and mushy lasagna. Each time I would go back to the drawing board and try to figure out what went wrong. Attempt number…well, I’ll leave that number up to your imagination… was finally a success. Happy husband. Cheesy (edible) lasagna. Happy cook. You knew there would be a happy ending, right? I’ll admit it. Ten years later I still cringe at the word: “lasagna.” It must be physiological because today my lasagna is cheesy and saucy. Our marriage is now full of family dinners that work for our blended style of soup pots (filled with homemade soup) and starched napkins. Perfectly blended, just like us. Awwww. This easy cheesy vegetable sausage lasagna is made with a blend of mozzarella and parmesan cheese (trust me, you won’t even know the ricotta is missing! ), roasted seasonal vegetables, and mild sausage. The perfect combination for both the veggie-lover (me) and the meat-lover (Dustin). 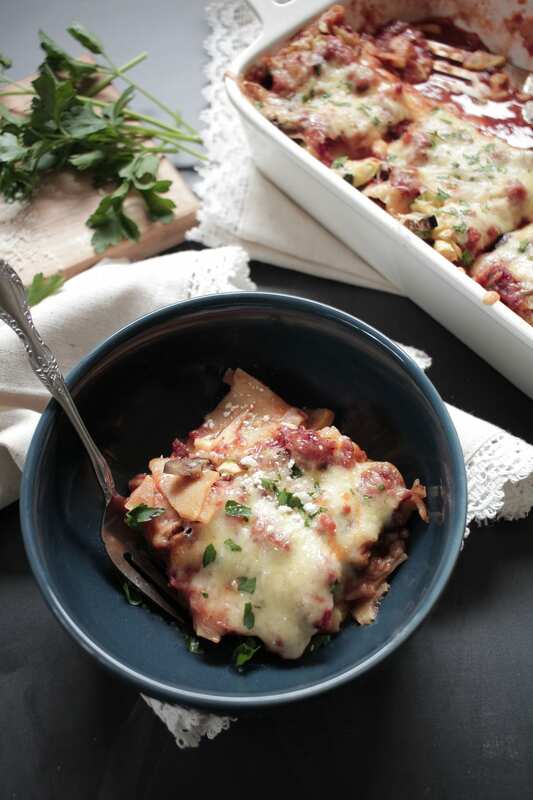 This lasagna can also be made on your prep day and kept in the fridge for 24-48 hours before baking, making homemade lasagna even easier to make. 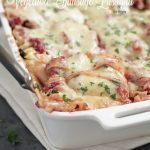 Easy cheesy vegetable sausage lasagna may be served as a fancy dinner with perfectly starched napkins, or as a one pan and two forks kind of meal. 6 lasagna noodles cooked, this is half a package, reserve the other 6 noodles for another night. 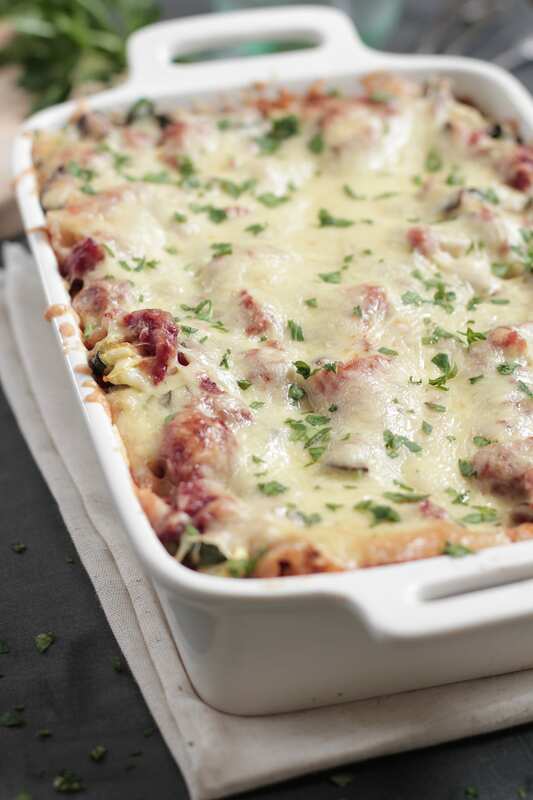 You can also use no-bake lasagna noodles, just increase the final cook time by 15 minutes. 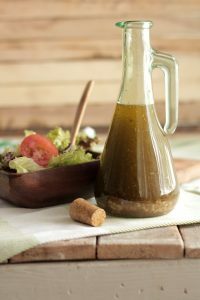 In a large bowl, toss the the vegetables (including all the garlic) in one tablespoon of olive oil and sprinkle with salt and pepper. 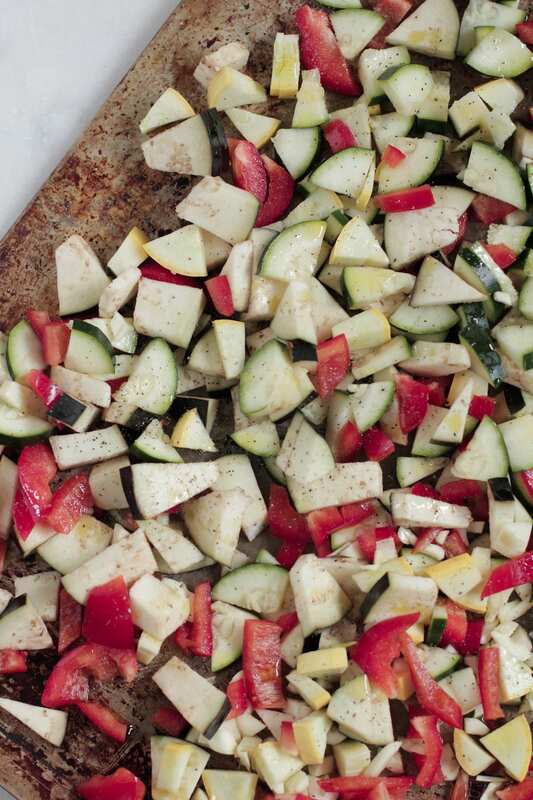 Place the vegetables in a single layer on a large baking sheet (I use a baking stone) and roast for 30 minutes. Once the vegetables are removed from the oven, lower the temperature to 375F. While the vegetables bake, heat a large saucepan, over medium-high heat, with one tablespoon of olive oil. Add the ground sausage and cook until no longer pink. Add the spaghetti sauce to the sausage, bring to a boil, then reduce to a simmer. Simmer until the lasagna is ready to be assembled (about 20 minutes). To assemble: Spread 1 cup of spaghetti sauce over a 13x9 baking dish and top with 3 lasagna noodles. 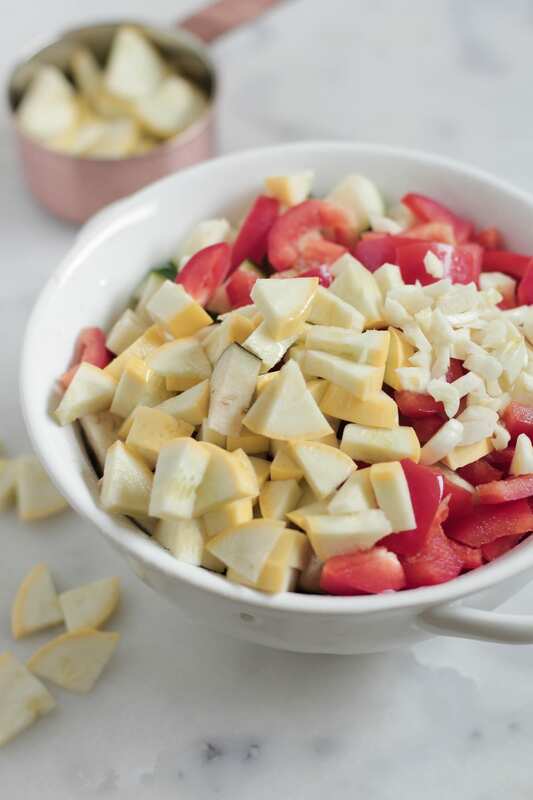 Spread half the vegetables over the noodles, 1 cup of sauce, 1 cup of mozzarella and 1/2 cup parmesan cheese. Add the last three lasagna noodles, the remaining vegetables, 1 cup of sauce, 1 cup of mozzarella and 1/2 cup of parmesan cheese. 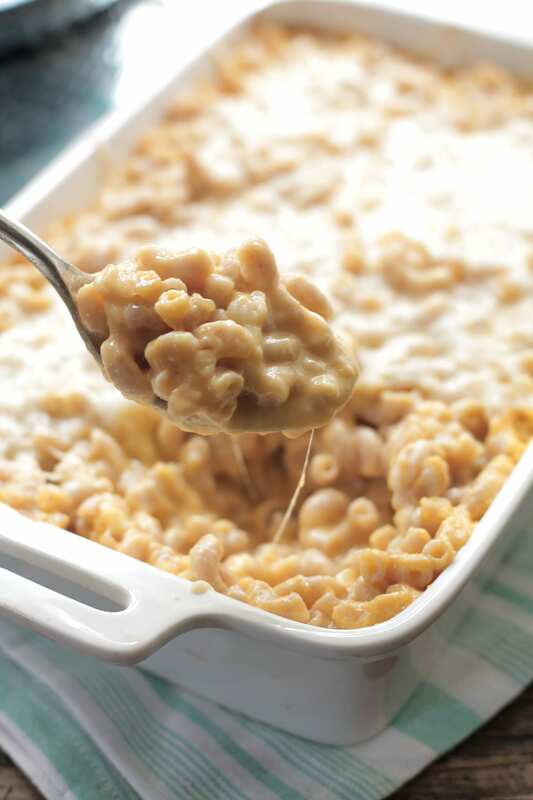 Bake for 30 minutes, until the sauce is bubbly and cheese is melted. Top with chopped parsley, if desired. 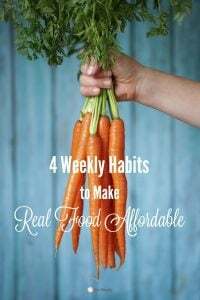 Inspired by Roasted Vegetable Lasagna from The Make Ahead Cook Find all my favorite cooking tools, baking dishes, and pans here. I tried this recipe and I loved it. It is super easy and so yummy. It has been great for lunches. I even did some food photography pics with it. That’s awesome, Gina! I’m so happy you enjoyed the lasagna. I think it’s even better the next day, so I bet it was wonderful for lunches. Thank you for sharing. 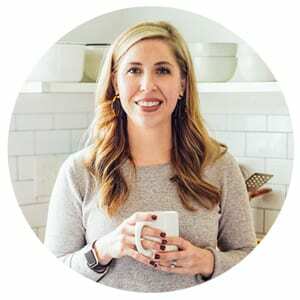 Hi, Kristin, I have to admit when I first saw this recipe I pinned it without ever reading the story. Now that I am trying to come up with some pasta ideas for this weekend I’ve read through your story and loved it! You should have tasted my first lasagna. GAG! My husband and I still laugh about it almost 37 years later! It called for adding a little sugar to the spaghetti sauce. I kept tasting and adding, tasting and adding. Well after about a cup of sugar later, we each took one bite, spit it out and through the whole pan out! I too have learned how to cook lasagna in the intervening years. And I, too, had to overcome my fears of making lasagna and a whole host of other foods! Thanks for bringing back the memories with your great story. It’s a real breath of fresh air. Hey Teresa, Lol, that’s awesome! Maybe you created a new treat…dessert lasagna ;)? Thank you so much for sharing. I’m so glad to hear someone else struggled with the whole lasagna thing too.